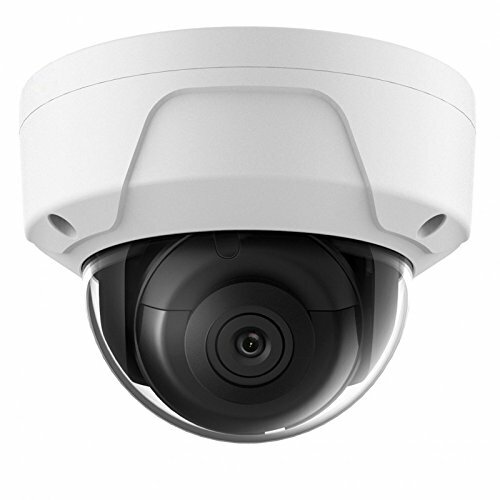 The Hawk Eye Dome Camera is the perfect camera for indoor and outdoor home and business usage - featuring a high-resolution 4MP sensor with True WDR and a 2.8mm lens, the camera will capture a clear, wide image in any lighting situation. NOTE: Any 4MP Hikvision compatible camera may need an NVR firmware update to work (and may not work at all depending on the age / model of the NVR); please verify that your NVR can support 4MP Hikvision compatible cameras if possible. If you have any questions about this product by HAWK EYE SURVEILLANCE, contact us by completing and submitting the form below. If you are looking for a specif part number, please include it with your message.